We are at our place one of the well known supplier of Pet Bed. 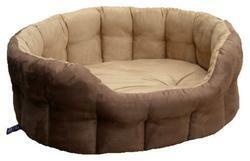 With the support of our professional, we are offering a wide array of Puppy Kart Dog Bed For Kittens to our customers. We are able to offer Pet Bed. Dog sofa is soft made up of high density foam. 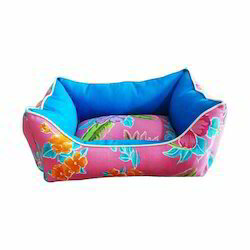 We are a leading manufacturer, wholesaler and supplier of Sofa Bed For Cats And Puppies. The offered sofa bed is designed by finest grade raw material and modernized technology in accordance with the set standards under the direction of professionals. Additionally, our customers can avail this sofa bed in different sizes. With the assistance of our dedicated team of professionals, we are providing a premium quality range of Dog Sofa. Packaging Size: 25 * 25 * 18 CM. Dimension Length X Width: 98 * 98 * 20 cm. - NON-SLIP SAFETY: Non-skid bottom keeps the thermal cat bed in place for worry-free placement on tile and hardwood floors in the home.